Hand knotted of dyed New Zealand wool. Hand washed, sun dried, hand trimmed, and uniquely finished for subtle hues and rich texture worthy of a genuine antique. 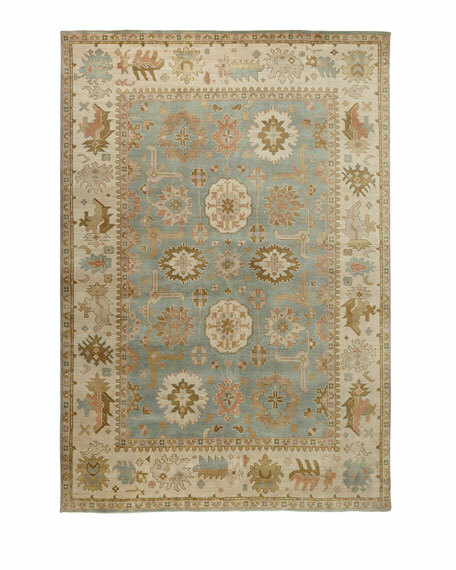 A special heirloom wash produces the subtle color variations that give Oushak rugs their distinctive antique look; therefore, each will differ slightly from the one shown.